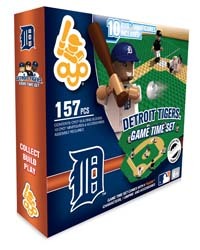 Baseball mini-figures and building blocks from OYO Sports make fantastic gifts for kids (and the young at heart, too). 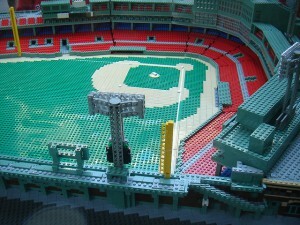 The OYO MLB Game Time Set is a great starter kit. For holidays, birthdays, or just as a surprise, these baseball figures will provide hours and hours of fun. 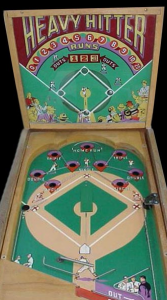 Remember the vintage pinball machine games, like Heavy Hitter, that played a game of baseball? Now you can find a number of tabletop baseball pinball games on the market that can provide hours of fun individually or for an entire family. In this post I will describe four tabletop games that operate pinball style. Though most are rated for 8 years old and above, they are simple enough that they can be played by younger children with proper supervision. The age rating results from the use of small metal balls and the dexterity needed to handle the games.